For many years, foot orthoses have been manufactured using traditional techniques over plaster of Paris casts or foam impressions. Other types of existing orthoses include pre-fabricated and heat-molded orthoses. More advanced methods of manufacturing orthoses have been developed using Computer Aided Design and Computer Aided Manufacturing (CAD/CAM) technology. However, this type of technology is still presently expensive and thus not available to the majority of practitioners to consider as part of their routine clinical service, notwithstanding the fact that these systems offer various advantages over traditional methods. This paper provides a new methodological approach towards integrating various readily-available technologies into a foot orthoses design and manufacturing system at a cost that is attainable by the majority of practitioners. This should encourage the further utilization of this technology, from which both practitioner services and patients could possibly benefit. The management of foot pathology, such as heel pain, by orthotic therapy, is a major conservative intervention employed by practitioners . Custom made orthoses are contoured, removable in-shoe devices that are molded or milled from an impression of the foot . These are recognized as the current gold standard of treatment for lower limb and foot pathology since personalization is possible when compared with over-the-counter devices . For many years orthoses have been manufactured over plaster of Paris casting or impression foam methods according to the practitioner’s specifications . Generally, to manually fabricate custom orthoses is very time consuming and requires extensive technical ability, creating the risk of error . Because of financial considerations or ease of availability, off-the-shelf orthoses may be recommended in order to reduce fabrication time, however often compromising the accuracy of the fit of the orthoses to the patient’s foot morphology , since these orthoses come in standard sizes and patients’ feet often have different anthropometric features, such as long, narrow feet as compared to short, wide feet. Besides custom devices, there currently exist several different techniques for producing orthoses in clinical practice, ranging from “simple insoles”, which are flat, non-molded devices often chosen to provide patients with immediate treatment , to prefabricated foot orthoses, which are available in standard sizes, some of which can be heat moldable, utilizing the thermoforming properties of materials such as Ethylene Vinyl Acetate (www.vasylimedical.com; www.icbmedical.com). However, Majumdar et al  observed that prefabricated orthoses often failed to incorporate the anthropometric principles found in custom made orthoses. Over the years, new, more advanced computerised methods of manufacturing foot orthoses have been developed, utilizing Computer Aided Design/Computer Aided Manufacturing (CAD/CAM) technology. Although considered to be very costly, CAD/CAM technology has always been recognized as having great potential . Manufacturers claim that CAD/CAM systems make orthoses manufacture easier and more reproducible, besides eliminating the messy techniques of working with plaster of Paris. Such systems often incorporate a scanner, software and milling machine. One important drawback of CAD/CAM systems is that they are generally expensive given the small group of specialized practitioners they are aimed at. Although CAD/CAM technology is widely available, there has been little exposure of these systems to the foot practitioner in general. This has limited the use of this technology mostly to manufacturers who fabricate orthoses for their clinician clients for later dispensing to patients. This has also led to new problems arising by the fact that practitioners themselves do not have control over the actual design of the devices, as these are done by technicians at a remote manufacturing location . This arrangement certainly does not take advantage of the flexibility of the design potential of these systems, since the practitioner could actually design the orthoses in the presence of the patient, ensuring that the resultant device would actually include the optimal features desired by the practitioner. When compared with the traditional process of foot orthoses manufacturing, the CAD/CAM process offers obvious advantages, including increased accuracy, reproducibility of the printed/milled devices, increased quality, a less messy process, the reduction of possible inhaled dust as the orthoses are ground and, perhaps most importantly, an easier design and manufacturing process that can be performed by the clinician at the office, providing faster turnaround time benefiting the patient. The ability to design a device with the patient sitting next to the clinician also has obvious benefits which have not been explored sufficiently, as one can readily compare the device under process with the patient’s feet and condition, e.g the location of diabetic pressure ulcers that require precise offloading through the use of the insoles being designed. The traditional foot orthoses manufacturing process compared to the CAD/CAM design and manufacturing process are compared in the algorithms depicted in Figures 1 and 2. 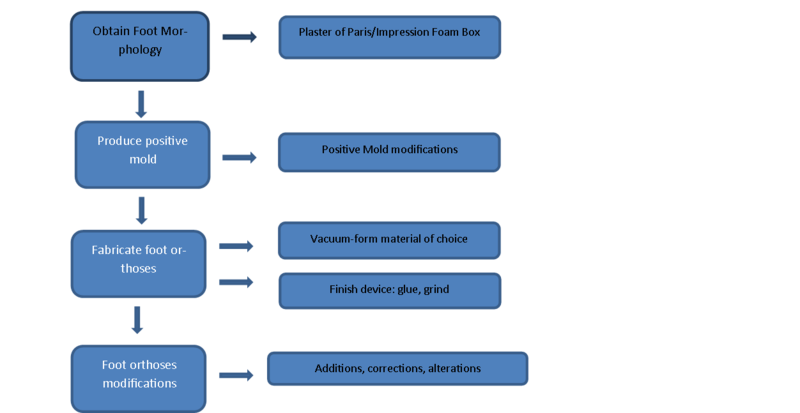 Figure 1 Traditional foot orthoses manufacturing process. 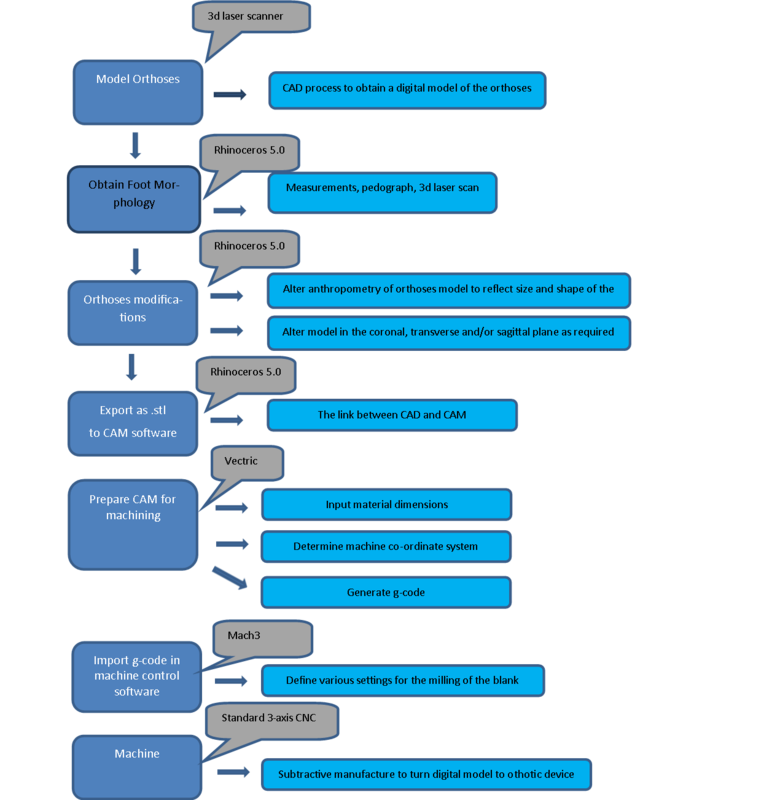 Figure 2 The CAD/CAM process. Notwithstanding the fact that these specialized foot orthoses manufacturing systems provide such great advantages, they are still quite expensive to-date and beyond reach for the normal medical foot practitioner to consider as an integral part of their daily clinical service. With current improvement in CAD/CAM technologies in other fields, such as engineering, reverse engineering and rapid prototyping, which have drastically reduced prices to affordable levels, there is, in fact, no reason why generic CAD software cannot be applied to orthoses design; likewise the application of CAM to the milling of these devices. When analysing the CAD process related to the design of any object, it becomes immediately apparent that any design software for orthoses should exhibit the same features as general CAD software, with the difference that icons could be named differently so that they would be more familiar to the medical practitioner whose would be changing to that of designer and manufacturer. Hence the aim of this project was to describe the implementation of a CAD/CAM technique for the interested practitioner, who is normally a non-engineer, utilizing readily-available software and hardware. This should result in increased practitioner utilization of this technology and should encourage its implementation even by small practices and clinics who would prefer to perform the actual orthoses design themselves, providing a quicker turnaround time for their clients without incurring a huge financial burden towards purchasing a system which would ultimately reflect on the final cost to the patient. The model discussed below describes the setup and implementation of an affordable CAD/CAM system, for use with either a 3D scanner, which captures the curvatures of the plantar aspect of the foot, or as a ‘customized prefab’ system. The choice of use would, naturally, depend on practitioner preferences. A 3D model of the orthoses may be created following various methods, including first scanning the patient’s foot with a 3D scanner or by using the design features of the chosen CAD software (Figure 3). For the purpose of this project, Rhinoceros 5.0 (McNeel & Associates; approximate cost €995 [$1,093] at the time of writing) was chosen, however the majority of CAD software should have the ability to either create or manipulate this model. Rhinoceros 5.0’s help file claims that this software provides the ability to “design anything from a ship to a mouse.” Thus the design of foot orthoses must surely lie within the capabilities of this software. 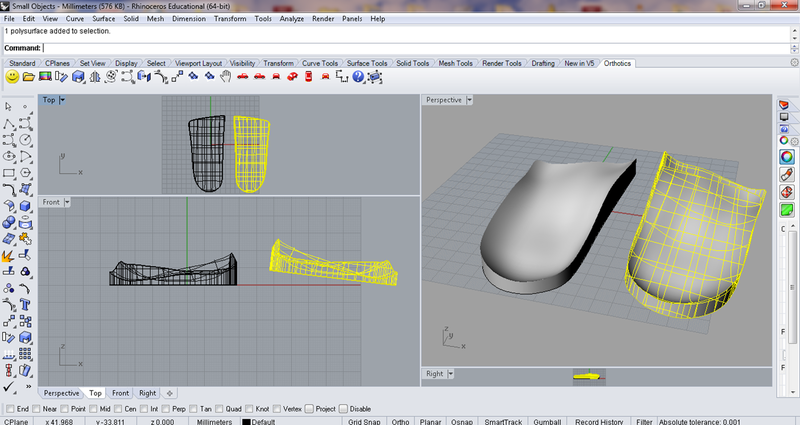 Figure 3 Screenshot of 3D CAD Model in Rhinoceros 5.0. Anthropometric measurements refer to the physical size of the orthosis itself, which should reflect the morphology of the foot. The actual length of the orthoses L (from the back of the heel, to the most distal (anterior) point of the orthoses, which is normally 1cm proximal to the metatarsophalangeal joints), together with the width of the anterior edge (Wf) and the width of the heel (Wh) can be obtained utilizing a Harris-Beath Mat or similar device. This simple apparatus, in which ink is applied to a ribbed latex sheet, under which a paper is placed, enables the practitioner to obtain an impression of the patient’s feet (Figure 4). Another similar device is a Podotrak™ footprint mat, which is another simple method of obtaining a footprint . The third alternative is to use a normal 2D scanner to scan the foot, after first having marked the location of the 1st and 5th metatarsophalangeal joints. If printed full size, this latter method will print to actual size of the foot, thus enabling the direct measurement of the required regions of the foot. Figure 4 Basic Anthropometry from pedograph. There are various ways in which the orthoses model may be manipulated, depending on the anthropometric measurements taken during clinical examinations, the required amount of posting (i.e. correction) and the additions according to the prescription for the device. Altering the model to reflect the anthropometric measurements involves selecting the orthoses in the CAD software, then using the ‘transform tool’, stretching the design in an anterior/posterior direction until the dimensions equal those obtained from the physical measurement. The ‘measuring tool’ should ensure that the length of the orthosis is equal to that required by the designer, with millimetric precision. The same method can be applied to the width of the design. 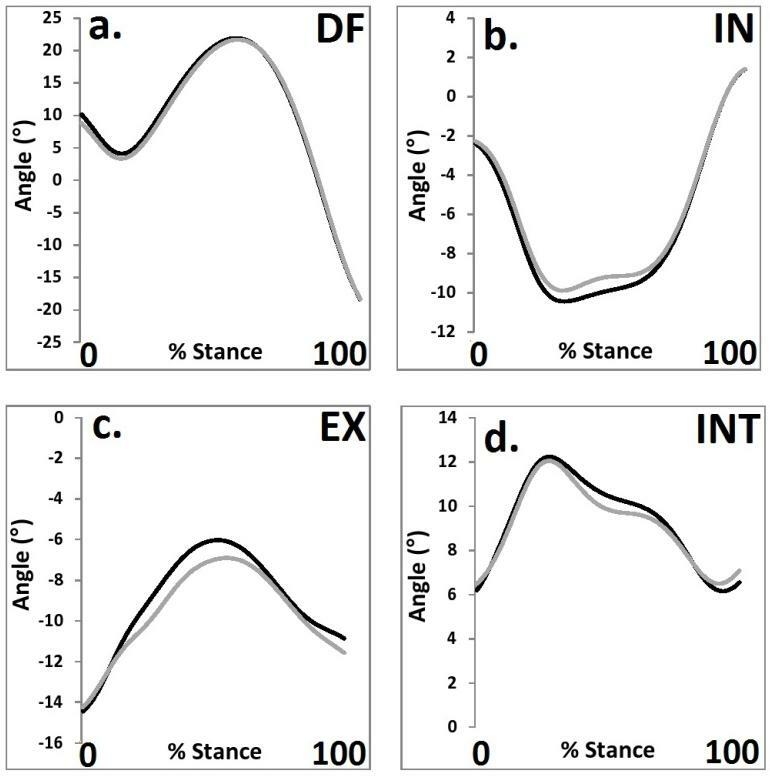 Altering the model characteristics as required by the actual prescription might involve ‘posting’ (or ‘wedging’), or the addition of a heel raise if required. Thus medial posting may be utilized to limit pronation, while lateral posting would limit supination. Such corrections are quite simple to perform, utilizing the ‘rotate function’ which can be found in any CAD software, to rotate the orthosis the required number of degrees in the relative plane, thus creating a ‘post’ or ‘wedge’ (Figure 5). Figure 5 Wedging or ‘posting’ of the right orthotic (exaggerated). The addition of pads of various designs, such as plantar metatarsal pads or a plantar cover, to provide off-loading of specific areas of the plantar aspect of the foot may be required by the prescriber. A heel skive, on the other hand, provides additional correction underneath the medial aspect of the heel, in order to limit pronation of the hindfoot. A library of additions can be saved within the software, thus making these more accessible each time they are required. 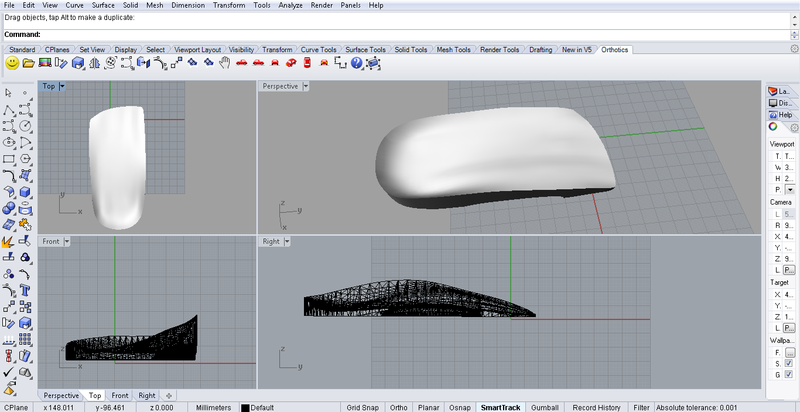 Once the model of the orthoses has been altered to fit the required design criteria, it can be exported in .stl format in order to be utilized by the Computer Aided Manufacturing (CAM) software. The majority of CAD software will have the capability of exporting the 3D model in .stl (stereolithography) format. Vectric Cut3d (http://www.vectric.com/products/cut3d.html; approximate cost €240 [$264] at the time of writing) is a 3D machining software that can calculate the milling toolpath of an object designed by CAD for exporting to a text file. The machining process involves knowing the size of the ‘blank’ out of which the orthotic device is to be milled out of. Ethylene Vinyl Acetate (EVA) is a common, widely utilized material that has been used in orthotic manufacture, including CAD/CAM, for a number of years. Pre-prepared blanks for CAD/CAM manufacture are available from distributors , as are blanks for polyurethane and polypropylene. Milling software creates a ‘roughing toolpath’ and a ‘finishing toolpath’. The former is aimed at removing excessive material, cutting this down until only some excess material is left on, to be later removed by the ‘finishing toolpath’. Once this is created, the finished ‘G-code’ is generated. G-code is a series of instructions saved in a text file, that instruct where the milling head is to move in the x,y and z direction, whilst cutting the material. The next part of the project is the milling process itself. This involves two components: the CNC (computer numeric control) milling machine itself and the computer software that reads the G-code created by the CAM software and translates it into machine movement, instructing the cutting head of the milling machine where to go in order to create a cutting path, the ‘toolpath’. There are various software that fulfil this function, including open-source software. Mach 3 (www.machsupport.com; approximate price €150 [$165] at the time of writing) is a popular software that is quite powerful and feature-rich, turning a personal computer into a CNC controller. Figure 6 is an example of a three quarters foot orthotic prior to covering. 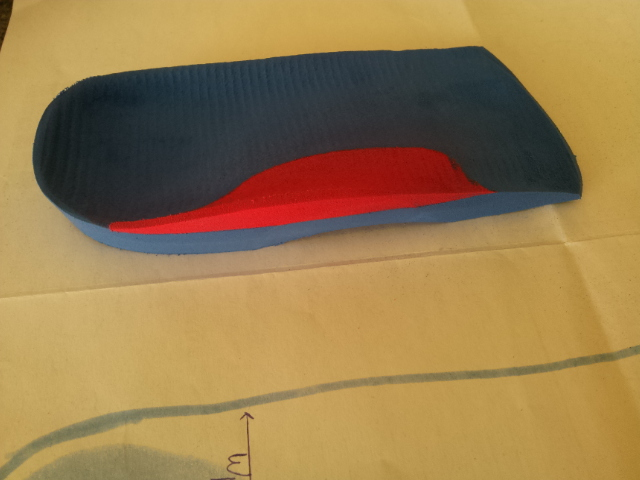 Figure 6 An example of a milled foot orthotic prior to covering. The CNC router is a 3-axis machine controlled by three separate stepper motors that provide very accurate positioning of the cutting head, which is often a spindle with a rotating bit. This bit cuts the material through the programmed tool path as it is moved from one position to another. There is a huge plethora of such machines, with prices ranging from a few hundred to thousands of dollars. The prospective buyer/user should do a research exercise in order to determine the best possible type of machine to buy, often depending on the available budget and production. However, one should not compromise after-sales support as more often than not, technical problems are liable to occur at one time or another. A fully-customized foot orthosis will exhibit one particular characteristic that standard off-the shelf devices do not: an upper surface that replicates the contours of the plantar aspect of the foot. Although for many applications, the level of customization described above would be sufficient in order to manage these particular foot conditions, full customization may be indicated in other categories of patients, such as in the high risk foot or when deformity is present. In this instance, a practitioner would often revert to casted orthoses. There are two ways in which this can be achieved using the methodology described above; firstly to utilize a 3D scanner to obtain a 3D image of the plantar aspect of the foot, which then replaces the dorsal surface of the orthoses prior to milling. Secondly, by utilizing the thermoforming properties of EVA, allowing the orthoses to be molded directly onto the foot to obtain the contour characteristics of the plantar surface. The above is the whole process required to set up the software and hardware for a CAD/CAM foot orthoses system. Each software and hardware device will require a steep learning curve for the new user, however the end result is certainly worth the outlay as small practices would acquire the availability and associated flexibility of supplying their patients with custom foot orthoses at a minimum outlay. Implementation of the proposed system will require various skills which may not be inherently found in foot practitioners; however these should not be considerable hurdles to discourage the interested user. If in difficulty, various experts in this specific field should be consulted. They would be in a position to further guide the practitioner in the implementation of their systems, e.g. software, hardware. Furthermore, the interested user is referred to the relevant literature and to the ample resources to be found on the internet. This new method of devising CAD/CAM orthoses using the proposed protocol has been implemented and tested on over 300 patients, proving successfully results and patient satisfaction with the final product. Furthermore, one prospective experimental study investigating their effectiveness in treating chronic plantar heel pain in adults has been conducted and it has been concluded that these orthoses were effective in reducing this pain within a period of six weeks. A paper outlining this study is in the process of pre-publication. The finished product produced by any CAD/CAM system is equivalent to the same product produced by hand-crafted methods, with the important difference that the time to manufacture is greatly reduced, with the added opportunity that the same device can later be re-manufactured with the exact same specifications. Certainly the quoted technology is bound to be surpassed in the future, however, this is likely to remain a viable option for those wishing to implement 3D milling of foot orthoses. One such emergent technology is 3D printing, which is taking rapid-prototyping by storm. Indeed, even where foot orthoses are concerned, these are being researched by various institutions and are available for sale through some companies. Notwithstanding this, however, subtractive manufacturing utilizing materials such as ethylene vinyl acetate and polyurethane will still be sought by the practitioner since the materials used exhibit quite distinctly different properties to those employed by 3D printing technology. Thus an investment in this sector will certainly not be obsolete within a few years. This paper presents the clinician wishing to embark on CAD/CAM manufacturing of foot orthoses with the methodology to achieve this target, thus initiating a possible future adjunct service to clients, allowing increased flexibility at a lower cost thus implying a greater access to patients. It is quite evident that this is all possible at a relatively low-cost utilizing modern technology with the end result being comparable to those achieved by commercially available systems. Thus this type of technology will become available to a wide range of health professionals, including pedorthists, physiotherapists, podiatrists, and orthotists. Ring K, Otter S. Clinical Efficacy and Cost-Effectiveness of Bespoke and Prefabricated Foot Orthoses for Plantar Heel Pain: A Prospective Cohort Study. Musculoskeletal Care. 2013;12(1):1-10. doi:10.1002/msc.1053. Landorf KB, Keenan A-M, Herbert RD. Effectiveness of Different Types of Foot Orthoses for the Treatment of Plantar Fasciitis. Journal of the American Podiatric Medical Association. 2004;94(6):542-549. doi:10.7547/0940542. Dombroski CE, Balsdon ME, Froats A. The use of a low cost 3D scanning and printing tool in the manufacture of custom-made foot orthoses: a preliminary study. BMC Research Notes BMC Res Notes. 2014;7(1):443. doi:10.1186/1756-0500-7-443. Ki SW, Leung AKL, Li ANM. 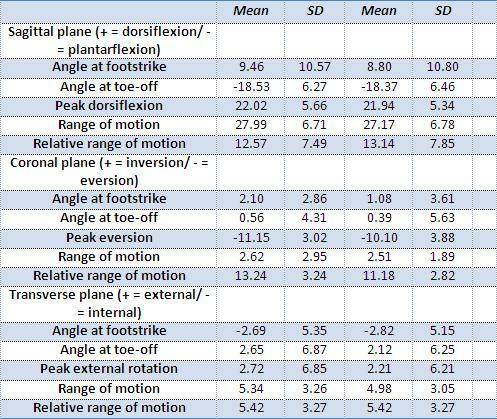 Comparison of plantar pressure distribution patterns between foot orthoses provided by the CAD-CAM and foam impression methods. Prosthetics and Orthotics International. 2008;32(3):356-362. doi:10.1080/03093640802016159. Lee SY, Mckeon P, Hertel J. Does the use of orthoses improve self-reported pain and function measures in patients with plantar fasciitis? A meta-analysis. Physical Therapy in Sport. 2009;10(1):12-18. doi:10.1016/j.ptsp.2008.09.002. Walther M, Kratschmer B, Verschl J, et al. Effect of different orthotic concepts as first line treatment of plantar fasciitis. Foot and Ankle Surgery. 2013;19(2):103-107. doi:10.1016/j.fas.2012.12.008. Majumdar R, Laxton P, Thuesen A, et al. Development and evaluation of prefabricated antipronation foot orthosis. Journal of Rehabilitation Research and Development. 2013;50(10):1331-1342. doi:10.1682/jrrd.2013.02.0038. Goh JC, Ho NC, Bose K. Principles and applications of Computer-Aided Design and Computer-Aided Manufacturing (CAD/CAM) technology in orthopaedics. Ann Acad Med Singapore. 1990;19(5):706-13. Michael JW. Reflections on CAD/CAM in Prosthetics and Orthotics. JPO Journal of Prosthetics and Orthotics. 1989;1(3):116-121. doi:10.1097/00008526-198904000-00005. VanSchie CHM, Abbott CA, Vileikyte L, Shaw JE, Hollis S, Boulton AJM. A comparative study of the Podotrack, a simple semiquantitative plantar pressure measuring device, and the optical pedobarograph in the assessment of pressures under the diabetic foot.Diabetic Medicine. 1999;16(2):154-159. doi:10.1046/j.1464-5491.1999.00018.x.